What does your company do? What are its media goals? Dave Karraker: Skyy Spirits is a top 10 US spirits supplier and marketer, with not only Skyy Vodka, but also 20 other premium spirits. The media goal is to create awareness that... leads to consumer trial and adoption. What made GayTV a good hit? How did you pitch its editors? Karraker: GayTV is part of the Gay.com Web site, and so it lends credibility to any outreach to the LGBT community. We pitched them a program tied to the new movie Milk, for which we had created a new Skyy cocktail, “The Talk of the Castro.” For each cocktail sold in five key target markets, including New York and San Francisco, $1 was donated to organizations such as the Gay and Lesbian Alliance Against Defamation. 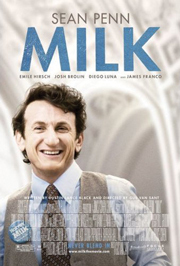 Milk came out alongside gay-marriage banning Proposition 8, and the two ended up tied together in some stories. How did you walk the line of supporting the film and LGBT community without getting the brand inserted into a political debate? Karraker: Skyy is a brand for everyone, but it was crucial that we demonstrated we weren't a “fair-weather” supporter of this important consumer group. For GayTV, we made sure the editors were aware of the support [that] Skyy provides the LGBT community, including gay pride activity sponsorships; our involvement with the Human Rights Campaign; and even Skyy advertising, such as “The Proposal” – which depicted a lesbian wedding proposal. Karraker: The posting played a big role in the response we received from bars across the country. Nearly 50 bars in our five target cities participated... which helped drive a lift in sales during December.